At the last edition of the Monaco Yacht Show the Riva Superyacht Division – a recently launched division of the Ferretti Group- announced two exclusive yacht lines of 50, 60, 70 and 90 metres vessels. 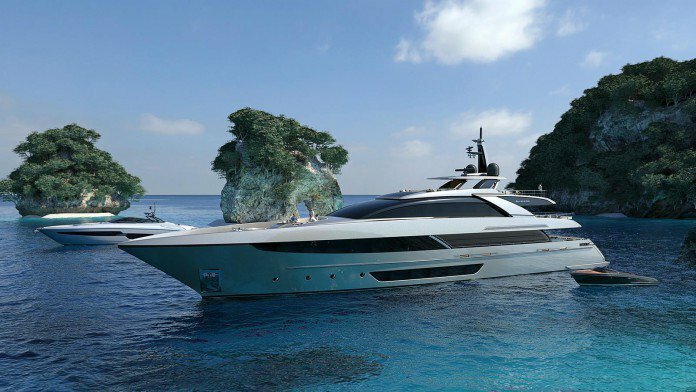 The yachts designs will be developed in a flourishing collaboration among Officina Italiana Design, Ferretti Group’s engineers, architects and designers, and Mauro Micheli. The first line of superyachts reminds the previous Riva motor yachts, featuring quite a classic design. On the other hand, the second line has a more sporty style, still boasting the strong and decisive Riva personality. All the new megayachts will be built from aluminium alloy. The design of the exterior lines will be aerodynamic, clean and stretching forward, while the interior design will be fully customizable, so that the resulting vessel will be the perfect match between Riva’s character and the owners’ tastes and identity. The first Riva 50m will be built in the Group’s shipyard based in Ancona (where the current flagship 122’ Mythos is being built as well). The Superyacht Division is the beginning of a new era for Riva.